No business likes to throw money out the window, or in the case of the modern day enterprise, down the electronic data stream. But, that is exactly what businesses all over the world are doing every day if they don’t have control of their data. It doesn’t matter if they live in the world of gigabytes, terabytes, or exabytes, data is the lifeblood of any organization that wants to be competitive in the marketplace. 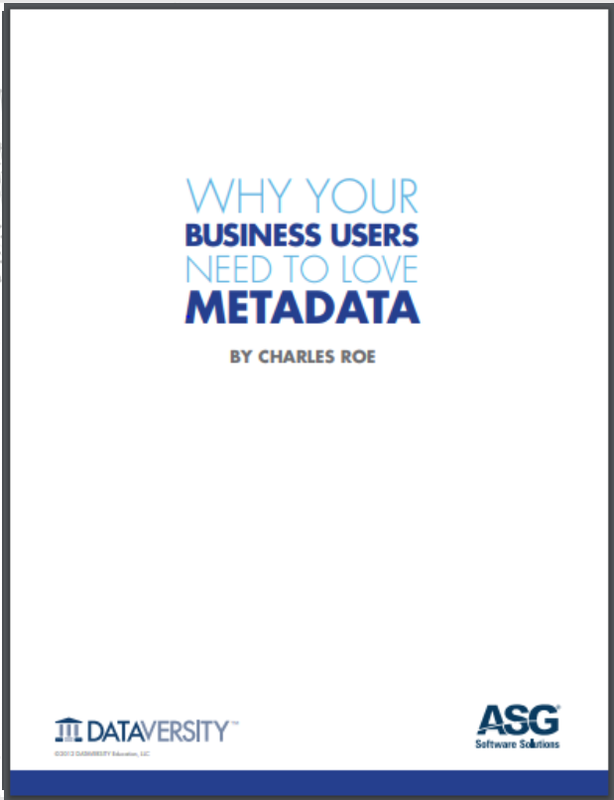 Metadata is the foundation at that data; without quality metadata an enterprise’s data systems are unreliable. This paper is sponsored by: ASG.